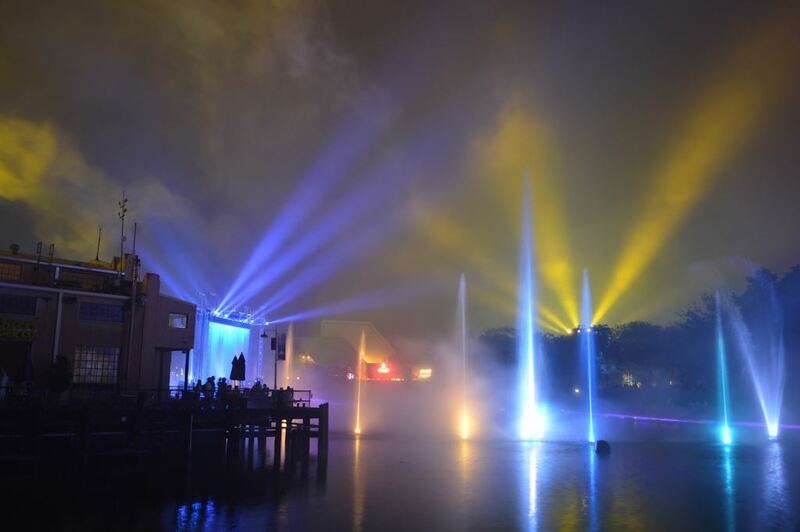 This attraction's final day of operation was September 13, 2017.
big nighttime event, designed to cap your day at the park. 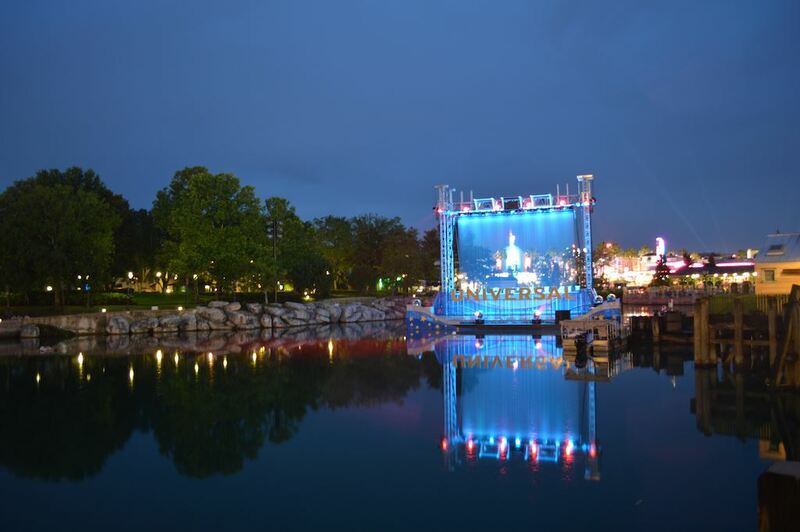 Shown on the lagoon in the middle of the park, the presentation runs through film clips and music from the first 100 years of Universal’s biggest movies. 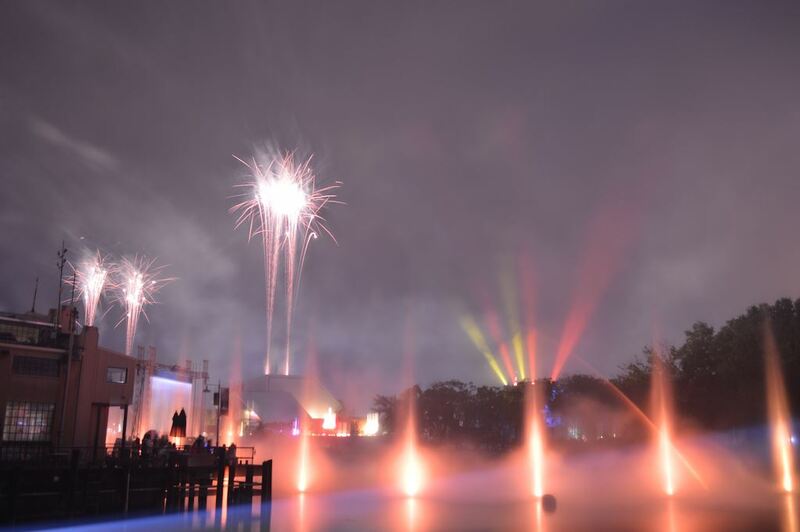 The scenes are projected onto three enormous “screens” made by raining a curtain of water from a frame into the lagoon (similar to Fantasmic! 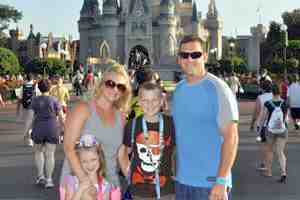 at Disney's Hollywood Studios, but much sharper). 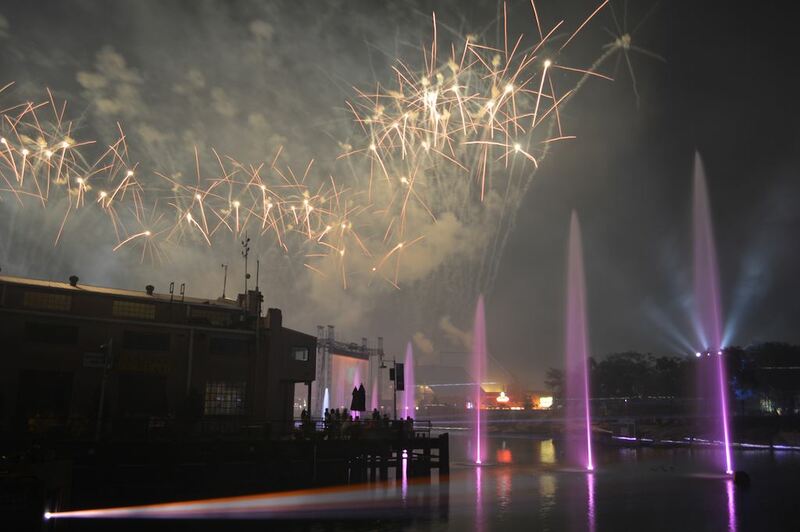 Fireworks and colored lights are also used to good effect throughout the presentation, which is narrated by God himself—well, actually, Morgan Freeman. It’s an enjoyable way to end your day at the park. My family really enjoyed the show. There were so many great movies we hadn’t thought about in ages! 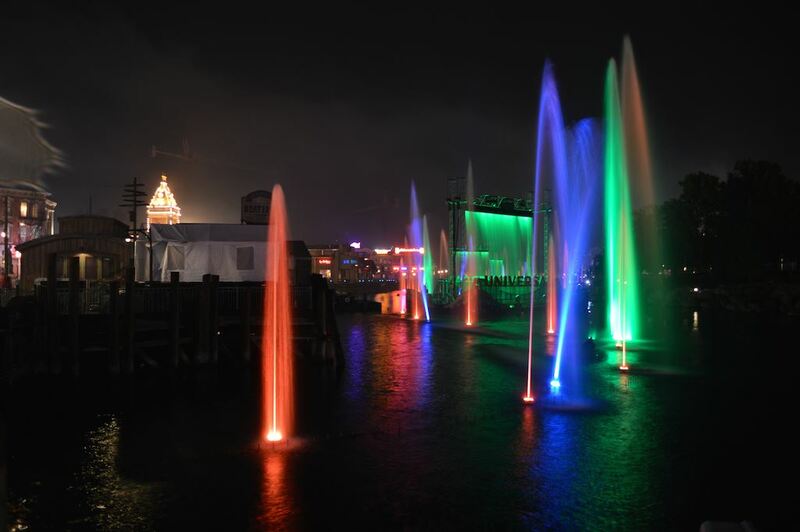 If you’ve been experiencing USF attractions throughout the day, you’ve already been exposed to most of the characters and memorable scenes referenced in the nighttime show. Reliving them again so soon may seem redundant, although dozens of films are referenced that aren’t otherwise honored in the parks. The Men in Black end of the lagoon is not recommended for viewing, but the terraced area near Mel’s Drive-In at the opposite end affords a good look at the lasers and fireworks. The best spot is directly across the lagoon from Richter’s Burger Company, where the sidewalk makes a small protrusion overlooking the water. Because acquiring a spot here can be very difficult during peak season, we recommend arriving at least 45 minutes ahead of time. Not all of the movie clips may be suitable for young viewers. The horror montage, for example, mixes excerpts from hoary black-and-white monster movies with potentially fright-inducing clips from films such as The Birds, Halloween, Psycho, The Silence of the Lambs, and Tales from the Crypt. 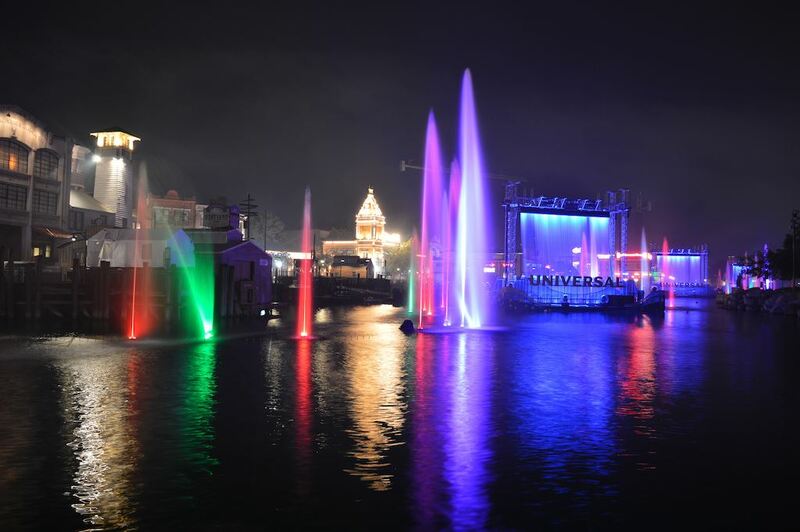 Finally, just as Disney does with Fantasmic!, Universal offers a dinner package for Cinematic Spectacular. As of now the only restaurant option is Lombard's Seafood Grille; the cost is $44.99 for adults and $16.99 kids, not including tax and gratuity. 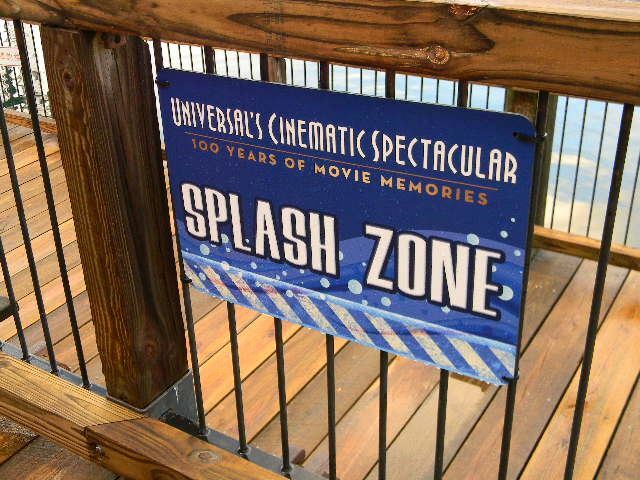 After the meal you'll have access to an special seating area to watch the show. It's a decent option if you're in the mood for seafood and were going to see the show anyway. Reservations are required and can be made online (here's the link) or by calling 407-224-7554 (7:30 am to 10 pm Eastern Monday through Saturday, and until 9 pm on Sunday).